A better title would be how to avoid stripping your BB shell’s frame. It’s always better to leave BB installation to those who have 1) the right tools and 2) experience in using the tools and experience with the process. 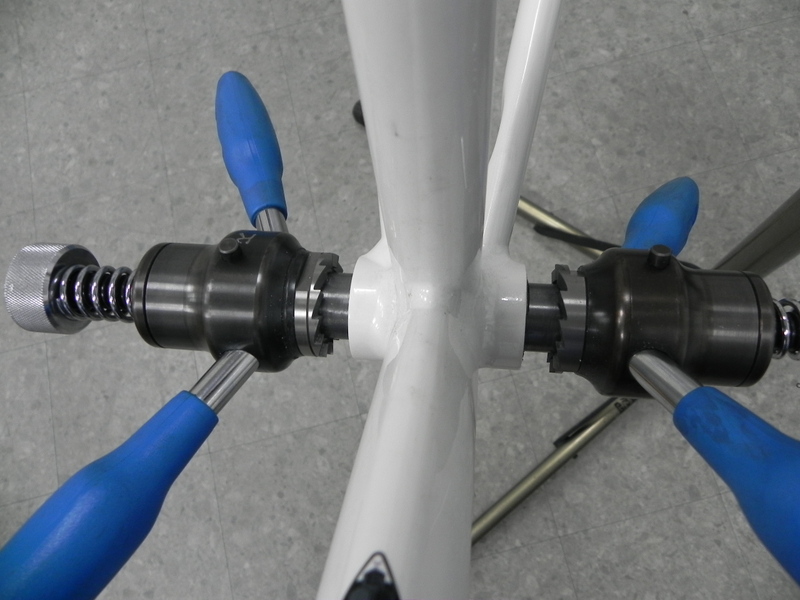 A customer who obtained one of my ladies’ road frame through an internet reseller went ahead to assemble the bike DIY. He cross-threaded the BB unit into the shell mistaking the resistance encountered when installing it for an overly tight fit. This was the result. The threads were crushed and flattened. 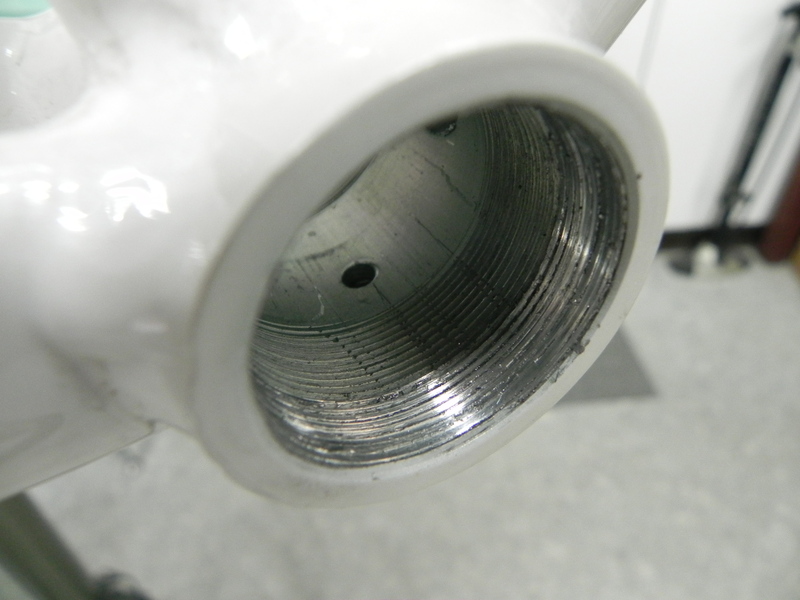 No grease was used, moreover, making a bad situation much worse. There was never going to be a happy outcome for this. The BB itself did not fare very well either, inside or out. The first couple of threads have been completely obliterated. 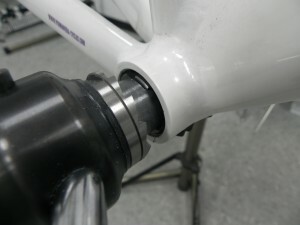 There is often a bit of resistance to installing a BB into a new frame. That’s why tapping the threads is important. When you have taken this initial step, any resistance can be managed—carefully. 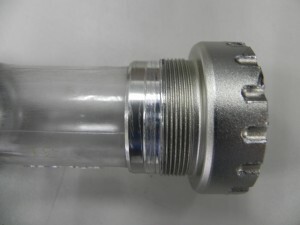 The difference between a BB unit installing smoothly and going in crooked can be a few 10ths of a millimeter of material which the tapping process removes quickly and easily. 99 out of 100 units can be installed by hand, then tightened to appropriate torque with the torque wrench. Occasionally the last 3rd of the installation will tighten up requiring a light touch of the wrench. But generally the unit should be easily rotated by hand. Anyhow, the job now was whether or not the threads could be re-cut and the frame be saved. Since the threads had been crushed flat rather than peeled away, there was material to work with. 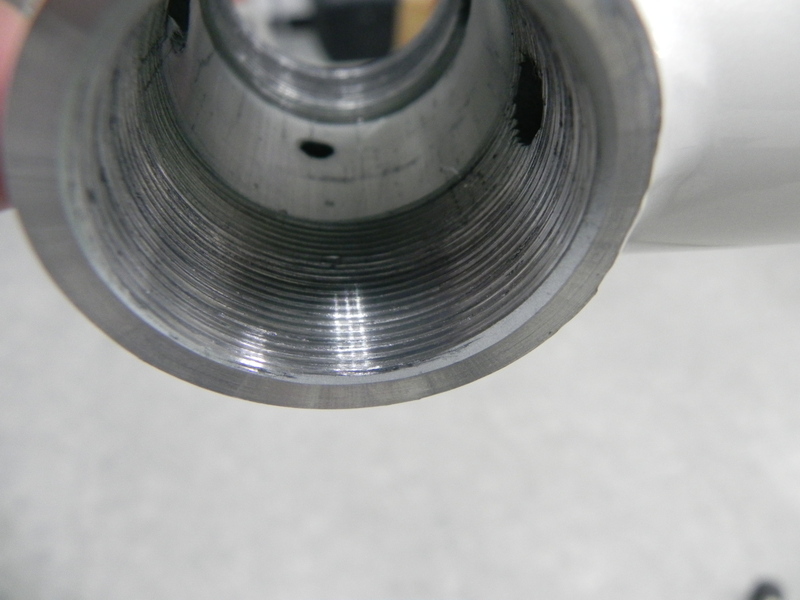 It required plenty of cutting fluid, a very firm half-turn forwards followed by a full turn in reverse to consolidate the freshly cut groove. The process was completed for the left and right, finished off by milling the shell face on both sides. If this had been done before the initial installation attempt, then it is highly probable that the unit would have installed exactly, although perhaps requiring some wrench assistance. This was the result. The threads were restored to near good as new and tested with several BB units each of which could be installed by hand. The frame was sent back to the customer and if “no news is good news” then I assume all is well.